Moving a loved one into a nursing facility is never an easy choice when families are no longer able to provide their loved one the care they require. The families trust that they made the right decision in placing their spouse, parent, grandparent in a safe environment in a facility provides a safe environment with loving and compassionate care. However, the Independence nursing home abuse & neglect attorneys at Nursing Home Law Center LLC have handled many nursing home neglect and abuse cases involving society’s most vulnerable citizens. Medicare releases data to the public monthly on all nursing facilities in Independence, Missouri based on inspections, surveys and investigations. Currently, the federal database reveals inspectors identified serious deficiencies and violations at forty-four (50%) of the seventy-six Independence nursing homes that provide their residents substandard care. If your loved one was mistreated, abused, injured, harmed or died unexpectedly from neglect while living in a nursing home in Missouri, let our attorneys protect your rights starting now. Contact the Independence nursing home abuse & neglect lawyers at Nursing Home Law Center (800-926-7565) today to schedule a free case review to discuss how we can file and resolve a claim for compensation on your behalf to recover your damages. Many nursing homes cut corners to stay in business by operating with minimal staff, improperly trained nurses or hiring employees who are not qualified to provide acceptable standards of care. In many incidences, the residents who are being treated poorly are too afraid to speak up in fear retaliation or are incapable of communicating at all due to their health challenges. The number of cases involving abuse and neglect in nursing facilities is on the rise in Jackson County. Of the more than 685,000 residents in the county, approximately 92,000 are senior citizens. This number has risen significantly in the last five years. 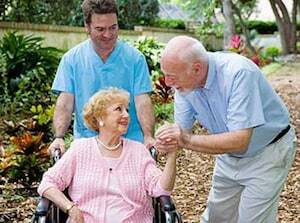 However, the number of nursing homes throughout the community has remained stable. This places an increased demand on a limited number of beds available for senior citizens who require the highest level of care. Overcrowded conditions usually result in poor standards of care, cases of neglect and abuse that lead to preventable injuries and death. Our Missouri elder abuse attorneys work aggressively to ensure that elderly parents, grandparents and spouses receive the highest level of care available. We serve as advocates for every nursing home resident throughout the state who require legal assistance in stopping the abuse and holding those responsible for the harm legally and financially accountable. In addition, we continuously update our findings of filed complaints, safety hazards, opened investigations and health concerns occurring in nursing facilities all throughout Missouri. We gather this information from various public available resources including Medicare.gov. Many families use this information as a valuable tool before placing a loved one in a nursing facility who requires the best health care, medical treatment and hygiene assistance. The list below was compiled by our Jackson County nursing home attorneys outlining Independence area nursing facilities that currently maintain substandard ratings compared with other nursing homes throughout the United States. In addition, we have published our primary concerns that details specific cases where residents in nursing facilities throughout the Independence community have suffered harm, injury or death through negligence, mistreatment or abuse. “All accidents are incidences where there is an injury or potential to result in injury, unexplained bruise or abrasion, allegations of theft, abuse, neglect or misappropriation of funds will be reported to the accident/incident report and/or the resident protection report. In a summary statement of deficiencies dated 10/26/2015, a complaint investigation was opened against the facility for its failure to “use the appropriate transfer method to ensure the resident was transferred safely.” The deficient practice by the nursing staff at Independence Manor Care Center affected three residents at the facility. The investigator made a 10:30 AM 10/21/2015 observation of the resident who was “sitting in [their] wheelchair in [their] room.” At the time of the observation, “the resident was in contact isolation precautions” which are guidelines used to reduce the potential risk of spreading infection throughout the facility. At that time, the resident did not bear any weight on their lower extremities nor did they place their feet completely on the floor during the transfer process. However, the observer noted that both Certified Nursing Assistants “did not use a gait belt (a canvas belt use to assist for transfers] for this transfer” as directed by the resident’s Care Plan. The complaint investigation involved a review of a resident’s medical records that revealed that the resident was receiving narcotic medications used to relieve moderate to severe pain. The physician’s orders indicated that one tablet was to be administered every six hours as needed (PRN) for moderate/severe pain. One minute later at 4:29 AM, the Certified Nursing Assistant “walked to the nurse’s station but did not see the nurse and went back to the hall without telling the nurse that the resident requested pain medication.” Nine minutes later at 4:38 AM, “the resident walked to the nurse’s station and asked [the Licensed Practical Nurse] for pain medication. The nurse did not offer any type of non-pharmacological intervention.” The LPN then asked the resident for their name and check the MAR (Medication Administration Record). Over the next few minutes, Licensed Practical Nurse attempted to find the keys to the Certified Medication Technician’s medication cart. At 4:40 PM, the Licensed Practical Nurse told the resident that they “could not find the keys to the medication cart and that [they] would bring the medication to the resident.” Even though the Licensed Practical Nurse located the keys to the medication cart with the assistance of the Corporate Nurse they instead answered a resident distress call from another hall. By 4:52 AM, the resident turned their call light on again and asked the CNA that responded: “if the nurse found the keys to the medication cart.” In response, the Certified Nursing Assistant said that they had not seen the nurse. In a summary statement of deficiencies dated 12/14/2015, a notation was made during an annual licensure and certification survey by a state investigator concerning the facility’s failure to “offer, provide and/or document non-pharmacological interventions prior to the administration of pain medication for one resident and to assess and monitor pain after a fall for another resident. The deficient practice of the nursing staff at The Villages of Jackson Creek affected two residents at the facility. A review of the resident’s medical records revealed that the last pain evaluation had been completed in December 2015. In addition, the resident’s 11/15/2015 through 12/14/2015 Physician Order Sheets revealed that the physician had ordered a narcotic pain medication patch to be applied every 72 hours. In addition, the resident was to receive two tablets of the pain medication by mouth three times every day PRN (as needed for pain) and additional pain medication was to be given by mouth every six hours as needed for temperature or pain. However, the state investigator noted that the resident’s MAR (Medication Administration Record) documenting pain administration between 11/15/2015 and 12/14/2015 did not show that any medications for pain were administered after the resident’s fall occurred on 12/04/2015. Our Independence nursing home abuse law firm recognizes that failing to provide residents necessary medications and care to minimize their pain could place their health and well-being in jeopardy. The deficient practice by the nursing staff at The Villages of Jackson Creek might be considered negligence or mistreatment because their actions failed to follow physician’s orders that resulted in unnecessary pain experienced by the resident under their care.